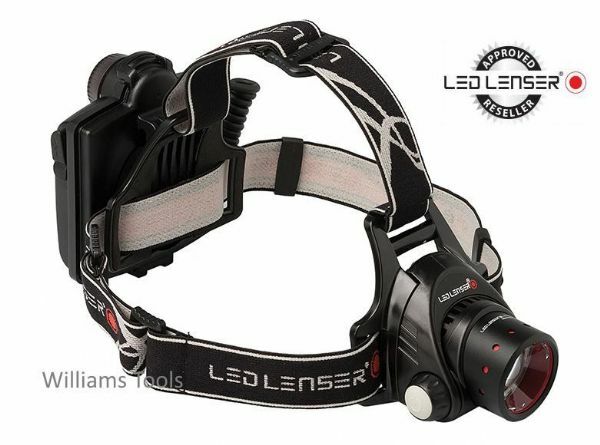 The LED Lenser H14.2 is a rechargeable 3-in-1, heavy-duty LED head lamp crammed with technological wizardry for the serious or professional user. The impressive technical specification starts with a single CREE Power+ LED light chip, mounted in its own durable housing on the front of the head band. Using patented Advanced Focus System technology this stunning head lamp can beam flawless light wide and far, right up to 260 metres – the equivalent of being able to see from one end of London’s Tower Bridge (244m) to the other in pitch darkness.